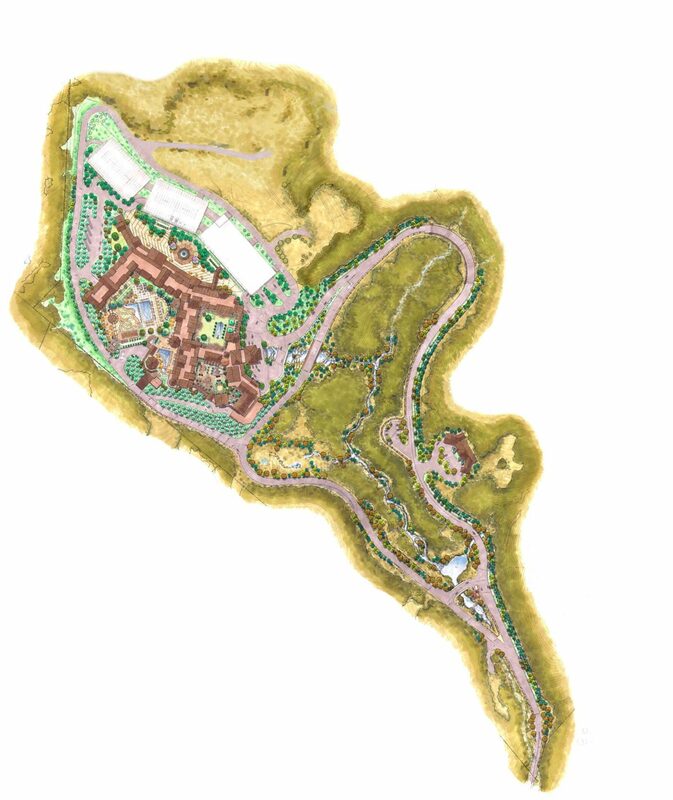 Nestled naturally into the hillside, the proposed 600,000 square foot (55,742 square meter/84 mu) resort will include: a casino, 260 guest rooms, luxury suites, meeting rooms, pool, spa and restaurants. 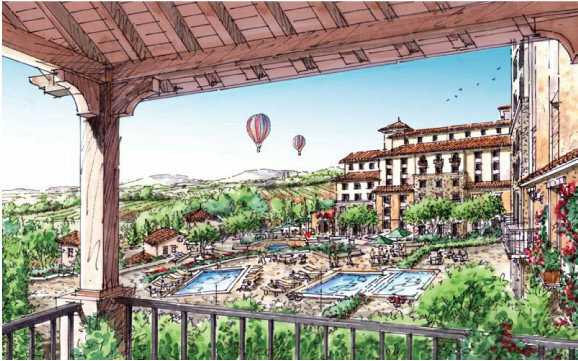 The resort’s courtyards, gardens and buildings of varying heights will evoke images of a Tuscan village. The 75 acre (30 hectacre) plan includes approximately $76,000,000 in infrastructure improvements to support the new facilities and restore creeks and natural habitats. Our environmentally-sustainable plan clusters density within a bluff-top region, protecting and restoring the land to its pristine, native state. The resort overlooks the Alexander Valley from the tribal lands of the Dry Creek Rancheria Band of Pomo Indians, off Highway 128 between Healdsburg and Geyserville.